I’m a PhD candidate at Monash University, Australia, Department of Econometrics and Business Statistics. My research centers around computational statistics. 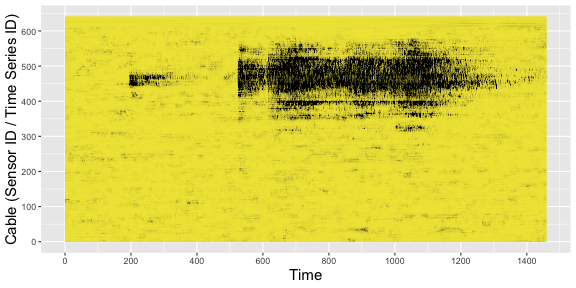 My dissertation focuses on anomaly detection in streaming time series data. I am working under the supervision of Professor Rob J. Hyndman and Professor Kate Smith-Miles. I am also a member of the Australian Research Council (ARC) Centre of Excellence for Mathematical and Statistical Frontiers (ACEMS), Australia. I am also interested in general data science problems. I am passionate about R. You can find some of my projects here. Apart from research, I like to explore science in nature. Visit me on twitter, I post mostly about R, Statistics, Data Science and science in nature. Outside of work, I love travelling, photography and painting. My sister Thiyanga Talagala is also a PhD candidate at Monash University, Australia. We present a framework for automated anomaly detection in high-frequency water-quality data from in situ sensors, using turbidity, conductivity and river level data collected from rivers flowing into the Great Barrier Reef. In Science of The Total Environment, 2019. This article proposes a framework that provides early detection of anomalous series within a large collection of non-stationary streaming time series data. In JCGS (to appear), 0001. Jun 18, 2018, 38th International Symposium on Forecasting, Boulder, Colorado, USA. Teaching Associate, Department of Econometrics and Business Statistics, Monash University, Australia. © 2017 Priyanga Talagala · Powered by the Academic theme for Hugo.